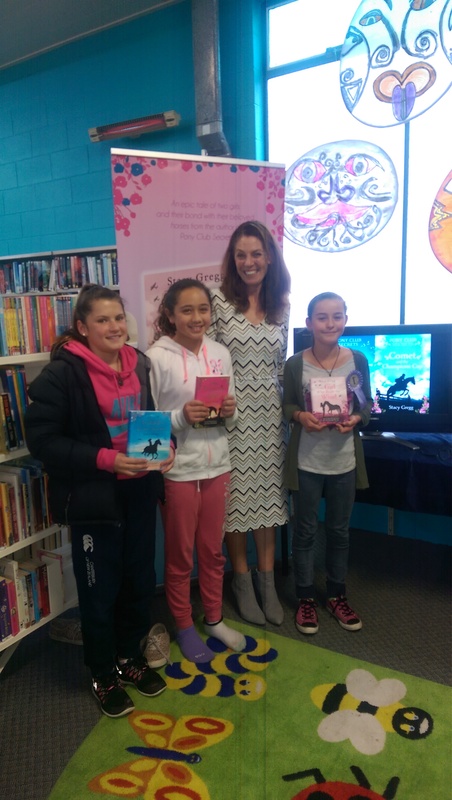 So lovely to see Taylor from St Kents School again at my Diamond Horse signing in Botany today! A great start to the October tour!! 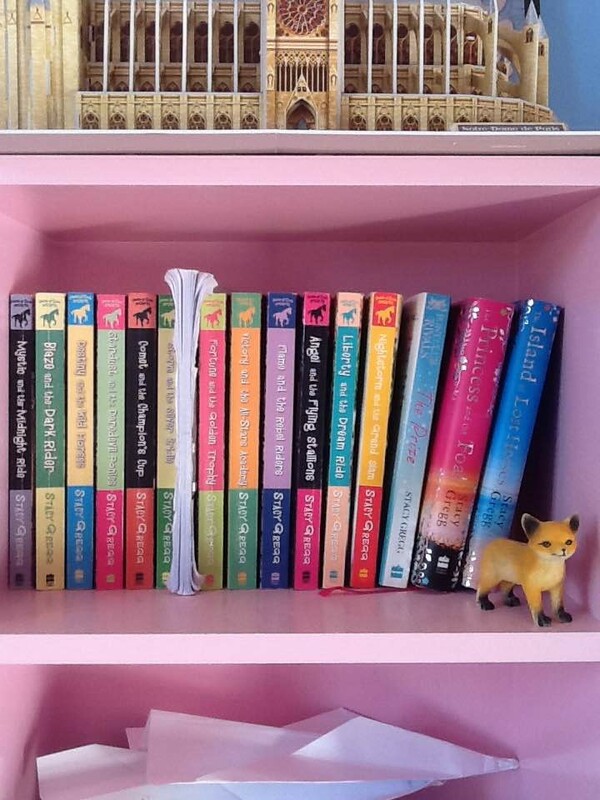 The Big new New Zealand Book Tour! 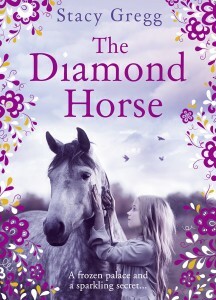 Hi guys – I am going on tour with the new book The Diamond Horse in October! 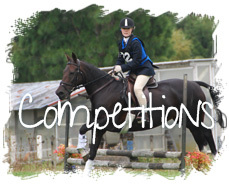 Stay tuned to the website for details…. 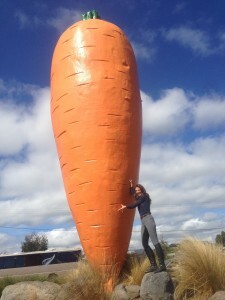 You should have seen the size of the pony who ate this! Found a giant carrot and hosted a pony trek for my readers at the Ruapehu Writer’s festival this weekend. 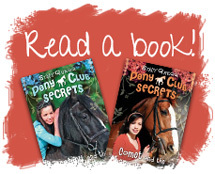 Oh and did I mention that I finished writing the new book too?! It’s called The Diamond Horse, it is set in Russia in the winter and it will be out in the UK in October and New Zealand/Australia in November! 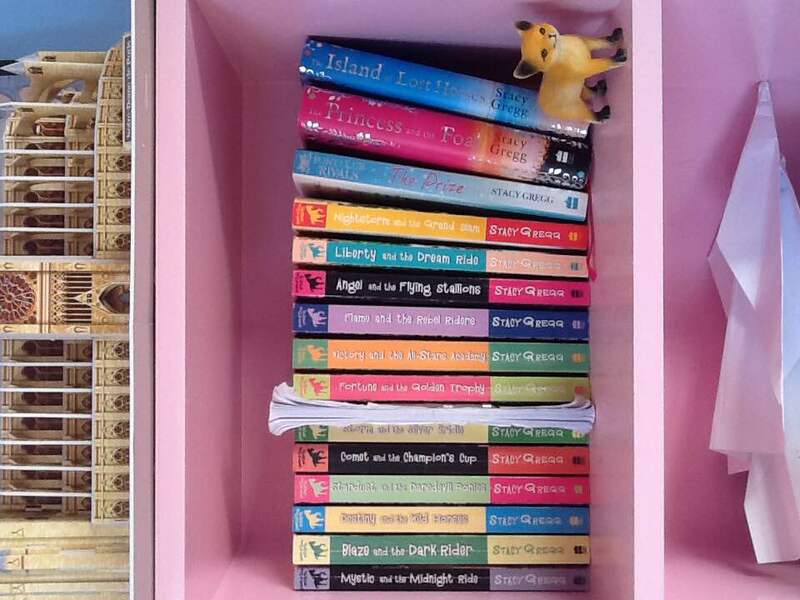 A big shout-out to Genevieve who came along with her enormous collection of Stacy Gregg books to the Storylines day in Christchurch and then sent me this photo of her dedicated shelf of Stacy Gregg books at home! 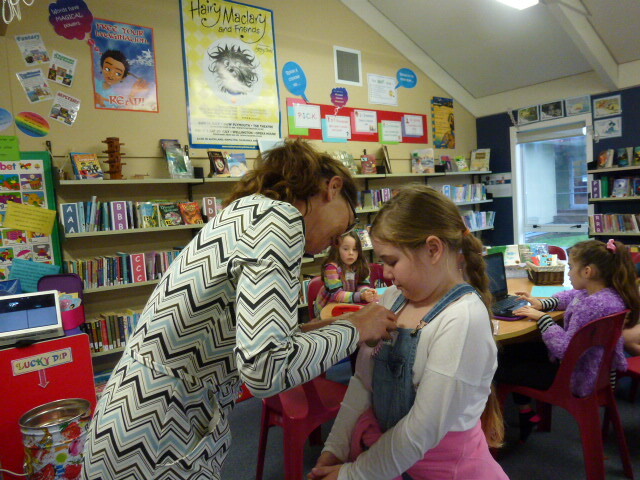 Thanks to Fairren the young girl pictured here with her lilac rosette who made this super visit to Opotiki Library happen! 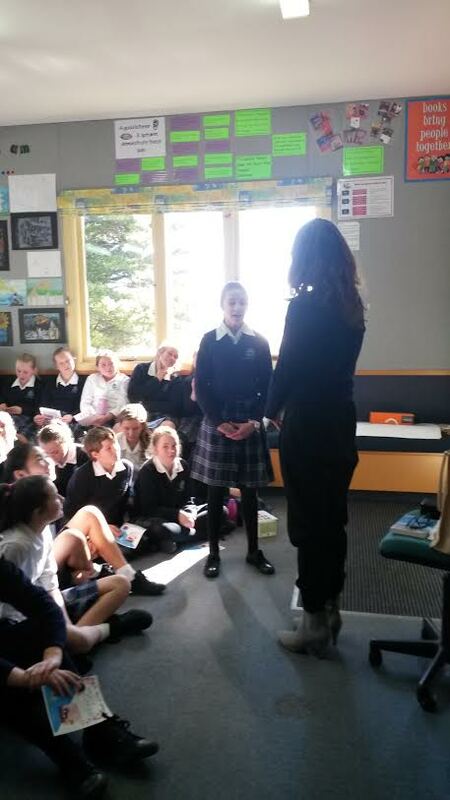 What a bright and clever group the girls at Nelson College for Girls Prep were – had a lovely time meeting you all! 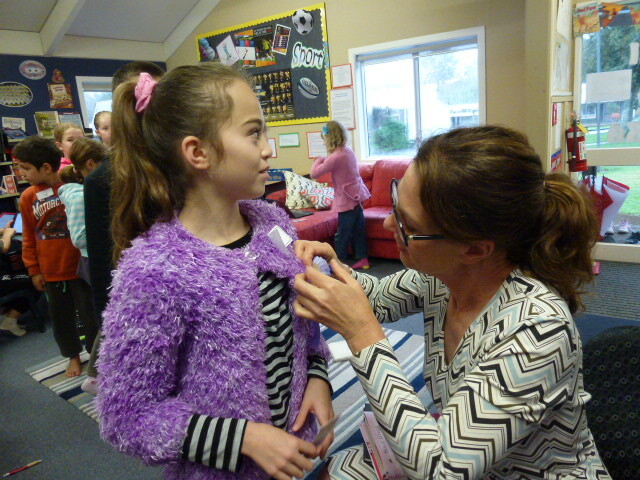 Thanks to the Village Bookshop and Matakana Primary School who were so much fun to visit last Friday! As you all know, I am on the big book tour at the moment and have been in Wellington, Blenheim and Nelson and am now back in Wellington again. Lots of photos to come so keep an eye on my blog. 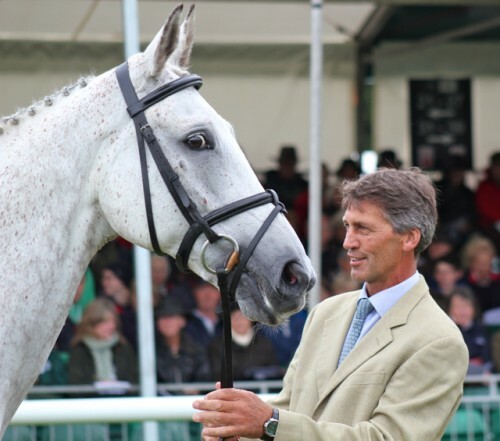 All I could think about yesterday though as I was touring was Andrew Nicholson – who fell at the final fence at Gatcombe on the weekend. He was leading after winning the dressage and was going clear cross country as usual until he fell at the final fence when his horse tripped. The news reports told us nothing at first other than he had a serious neck injury and was in hospital and everyone has been so worried. Such a relief to wake up today and read reports that he has had successful neck surgery and has “a full range of movement”. Get well soon Andrew! 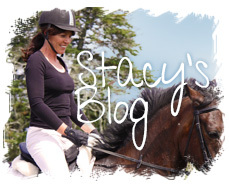 Everyone is thinking of you and we hope you are back out there on the cross country in winning form in no time…. 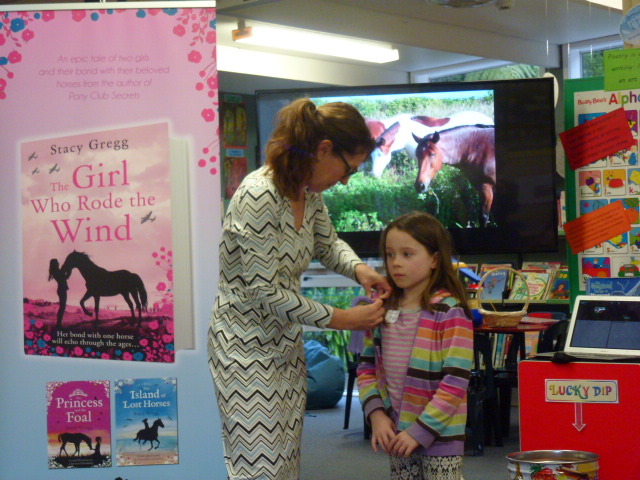 Thanks so much to all the kids at Welbourn School and Frankley School who did amazing work with me in the writing workshops – so many of you were super talented and really earnt your bookmarks and rosettes! 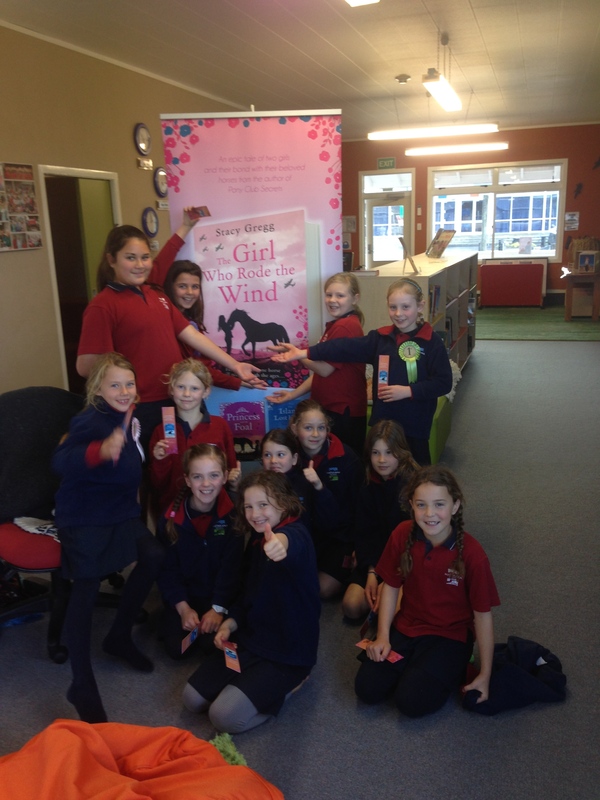 Thanks to Access Radio Taranaki – you girls did the best radio interview I have ever had! 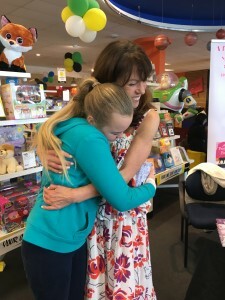 And super-big thank you to PaperPlus who hosted me for my book signing – and the amazing kids who came in to get their books signed including Ella, Jenna and Noah (and my old friend and fellow author David Hill!) 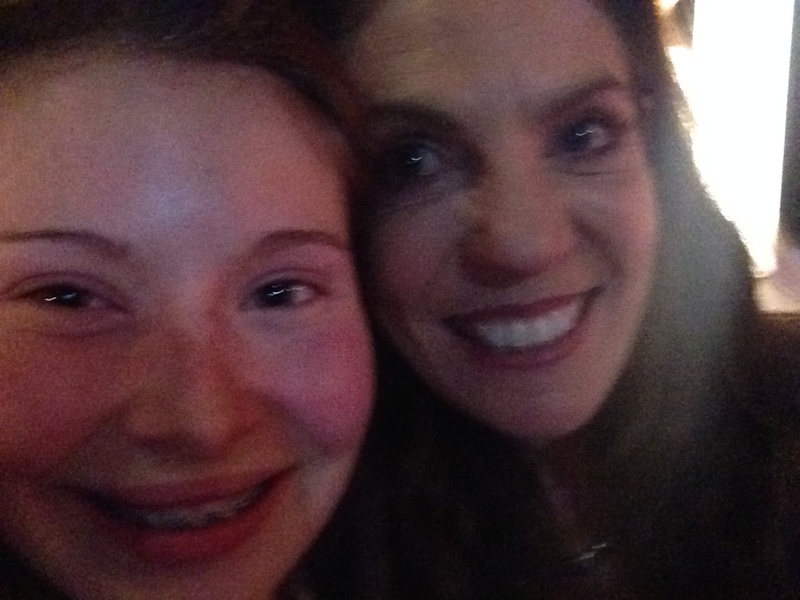 – I had the best time! 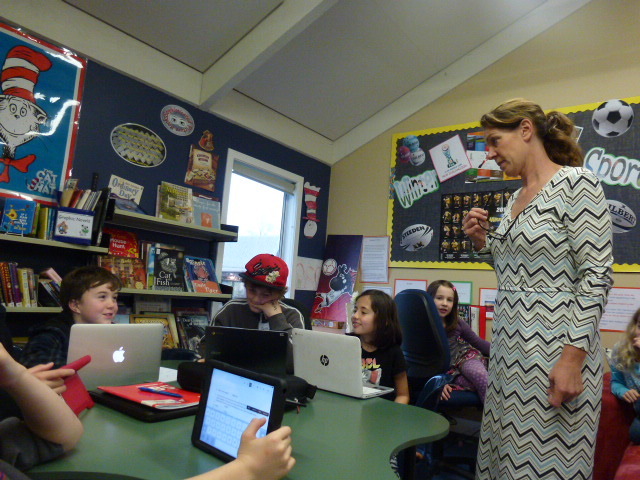 Here are some pics of the clever kids who did my writing workshop at Frankley School….